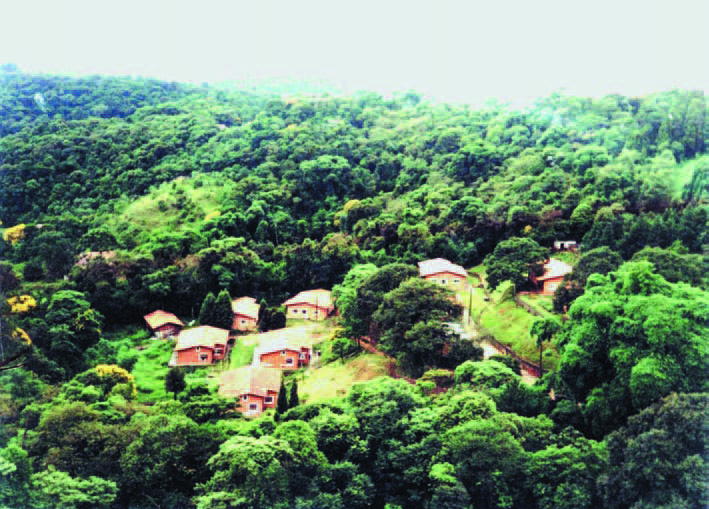 Situated in the outskirts of the Serra da Cantareira forest reserve near São Paulo, Brazil, is Terra da Promessa (Land of Promise), a community of people living with AIDS. Operated by the Associação Aliança pela Vida or Alliance for Life Association (ALIVI), a Brazilian entity that provides shelter and care to adults and children living with AIDS, Terra da Promessa has created the bakery project with a grant from the Elton John AIDS Foundation (EJAF) International Small Grants Fund and assistance from Family Health International and Associação Saúde da Família. Today 12 of the 24 adult residents of Terra da Promessa make and sell bread in the community’s bakery. While the baking project started as occupational therapy for community members, Terra da Promessa’s coordinator José Luis Loureiro recognized it as an opportunity to create jobs and contribute to the community’s sustainability. Loureiro knew that in order to win a share of the market, the informal bakers would have to become professionals. 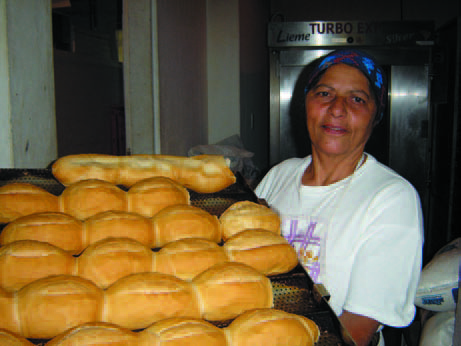 Loureiro enrolled in a breadmaking and pastry course and encouraged other community members do so too. As a result, when the EJAF grant to set up a formal commercial bakery arrived in July 2003, a group of professionally trained bakers was ready and waiting. Three months after the funds arrived, a convection oven to bake Italian- and French-style breads and all other required equipment were installed, and the bakery was up and running. The only test that remained was to see if residents in the surrounding area had overcome their prejudices enough to buy bread from HIV-positive bakers. Located in the Mairiporã municipality, Terra da Promessa occupies 75,000 square meters in a preservation area with several springs that feed São Paulo’s water supply. Close proximity to the city and the lush native forest have attracted a large number of wealthy residents to the area. In 1990, when construction began on the first of the eight houses at Terra da Promessa, residents of the area’s upscale communities reacted negatively to the idea of having people living with HIV and AIDS (PLHA) as neighbors. Prejudice was very strong at this time, and some residents were even afraid that PLHA would contaminate the region’s water supply. The residents organized into an association and voiced their protest in articles in major Brazilian newspapers. These articles influenced the city of Mairiporã’s decision to oppose Terra da Promessa’s construction. Finally, Dom Paulo Evaristo Arns, the Emeritus Cardinal-Archbishop of São Paulo who had helped found ALIVI, stepped in to defend the project and the rights of PLHA. Since there were no legal grounds to oppose construction, the city of Mairiporã was forced to authorize the project and construction resumed. In the beginning, people came to Terra da Promessa to find a refuge where they could wait for death with dignity. Since the advent of universal access to antiretroviral therapy in Brazil, residents of Terra da Promessa have new hope and energy. Many are well enough to seek work to help support their families. While bread can be made quickly, selling it posed a potential problem. Even though there were no other bakeries nearby, Loureiro worried that the prejudice that nearly halted Terra da Promessa’s construction would cause its bread to go stale on the shelves. Setting aside these fears, the bakery began to promote its product. A brightly colored sign was posted on the road that leads to Terra da Promessa announcing that freshly baked bread could be purchased every weekday morning and afternoon. A few local residents started to show up, and, each day, they brought more of their friends and neighbors. 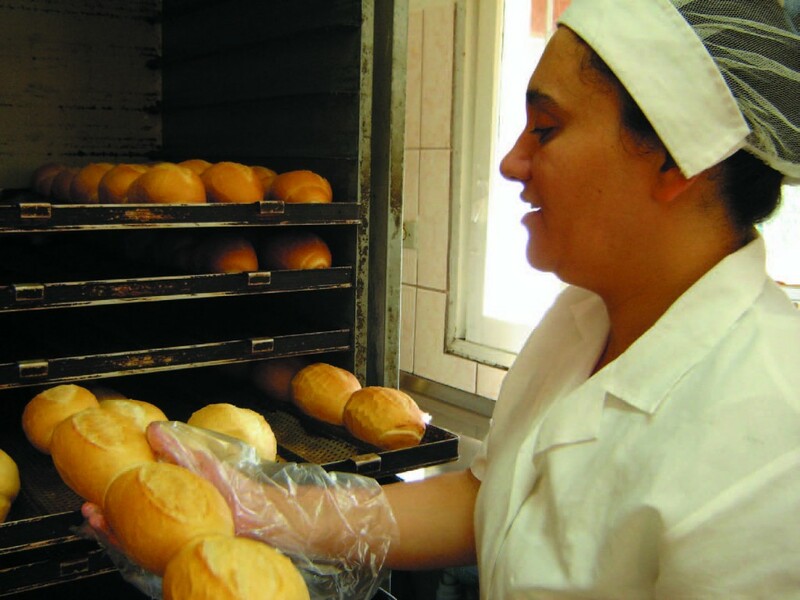 As word of mouth increased the number of customers, the bakery increased its production pace. The bakery now produces 3,500 loaves daily, and this number is steadily growing as the product becomes more popular. “The bread is good, and if it is meant to create jobs for local people, why should one look elsewhere?” says Giselle Betto, a housewife who lives nearby. She started buying Terra da Promessa bread after her parents recommended it. In addition to generating jobs and contributing to ALIVI’s sustainability, the new business has helped Terra da Promessa residents get to know members of the surrounding communities. Cícera Maria Dantas, a 54 year-old bakery worker, likes to welcome customers and exchange a few words with them. “Working here is wonderful. It’s the best therapy there is. I make and sell the bread, and our customers already know me.” Cícera has been taking antiretrovirals for five years. Once in a while she becomes too sick to work, but she feels happy when she can come back. “I got sick and now it has been five months that I am back to work. 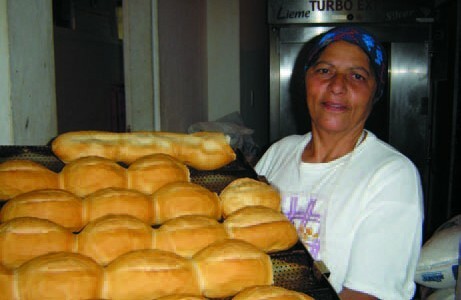 Sometimes, I sell up to 180 units of bread a day,” she says. Cícera is saving money from her pay to visit her daughter and grandson in Bahia. Once the bakery’s production flow and quality were systemized, Loureiro opened a new sales channel: the supermarkets in São Paulo. 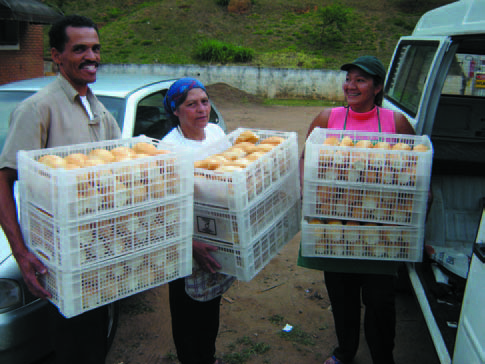 Now Terra da Promessa employees use ALIVI owned vans to transport bread five kilometers to supermarkets in the Santana neighborhood of São Paulo. To fill the supermarket orders, the bakery is working three shifts. To further increase ALIVI’s sustainability, another incomegenerating project is being planned. The land that houses Terra da Promessa contains a mineral water spring, and ALIVI has begun construction of a water bottling plant. “Just as the bakery project promoted great transformations in our community, we hope that the water plant can also propel change and help support ALIVI,” says attorney and ALIVI president Paulo César Crepaldi.